It's that time of year again. Thanksgiving has passed and the holiday gift giving season is just around the corner. 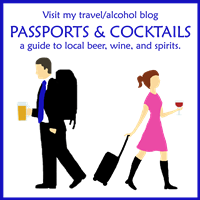 Are you looking for travel gift ideas? Travelers can be hard to purchase for because they're always on the go and prefer experiences over worldly goods. However, there are a number of items out there in various price ranges that make perfect holiday presents for the world traveler. 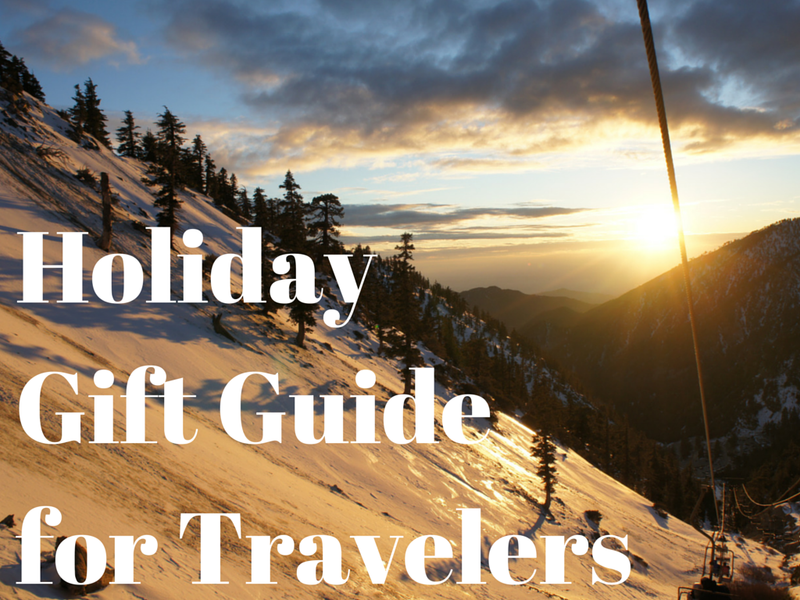 I've put together a holiday gift guide for the 2014 season so you can find the perfect traveler present for Christmas, Hanukkah, Kwanzaa, or whatever winter gift-giving holiday you or your traveling loved ones celebrate. Memory cards are tiny little objects carrying something so important, visual memories of your travels. And yet most of us throw them somewhere in our bags unprotected. Help the traveler in your life protect these memories with this memory card carrying case. This item is actually on my personal Christmas wish list. When I'm at home I stand on our scale, weigh myself (which no one really wants to do), and then pick up my suitcase to figure out how much it weighs. So far this has worked out well for me. However, I also love to shop, especially while traveling, which means my luggage is invariably heavier on the return trip. This tiny digital luggage scale will take up practically no room in your luggage but will ensure you're not in for an unpleasant surprise when it's time to check in at the airport. I love packing cubes! Some travelers use the rolling methods for packing, but I have much better luck conserving space and keeping everything clean and organized with packing cubes. They also protect your clothes when in drawers, and the flexibility still allows for them to be shoved into oddly shaped spaces in your luggage. Luggage is dirty. It's handled by multiple random strangers, gets banged around on conveyor belts, luggage movers, and airplanes, and sits in hotels all over the world. At home when its time to pack or unpack, its inconvenient to have your luggage on the floor, but you really don't want to put it on your bed either. You have to sleep there after all. A luggage rack will keep your luggage up off the floor and off the bed. When I'm not traveling I like to daydream and plan for our next trip. To get ideas of where to travel next, I like to leaf through the pages of The Travel Book: A Journey Through Every Country in the World by Lonely Planet. But if buying this book as a holiday gift, spring for the hardcover because my softcover is already falling apart. I have a kate spade passport cover and I absolutely love it. A passport cover ensures your passport is protected when floating around in your purse or luggage. If your passport is damaged in any way, officials may not let you board your plane. We had a passport scare when Romeo's passport was examined carefully and he was looked at askance because our dog Henry had chewed on the binding of his passport. It was a "my dog ate my homework" kind of a moment. Protect your passport with a fashionable passport cover. Rick Steves is one of my travel heros. He is nerdy as all get out and yet really knows how to enjoy a destination and learn about the history and the people. 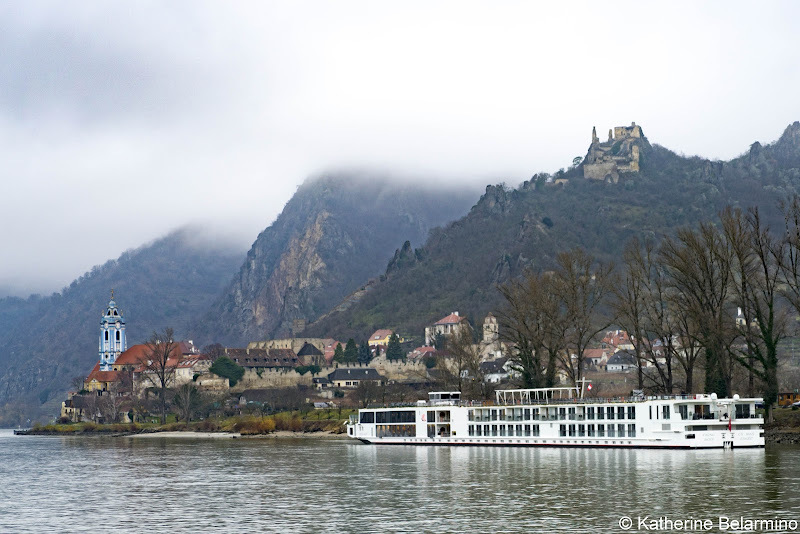 Rick Steves' videos are another way I love to get travel inspiration and are a great gift idea for travelers to Europe. Our Garmin GPS with international maps saved our marriage. Okay, I'm joking, but I know it has averted some heated discussions let's just say. Driving around in a foreign place can be very stressful. Having a GPS for travel, especially with international capabilities, can alleviate a lot of stress. Plus you can be more spontaneous knowing you'll be able to get back to where you need to be. We've been through a few sets of luggage in our house. I stumbled upon a previous version of Samsonite's Lift Spinner suitcases and purchased a set for myself and fell in love. My luggage is red so it's easy to see at baggage claim, but it also comes in black, blue, and orange. The spinner wheels make it easy to maneuver. But the best feature is it's extreme lightweight. I've never had luggage so light, and even though Romeo's luggage still had some time left on it, I ended up buying him a Lift set too. I love maps and love the idea of having a map with which to track our travels around the world. This World Push Pin Travel Map hangs on your wall and you can track your travels with push pins. It can also be used to plan future travels and mark bucket list countries (with a different color pin of course). Disclosure: This article contains affiliate links. 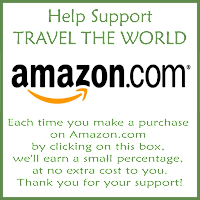 If you purchase anything from Amazon through these links I will receive a small commission to put towards our travel, so you'll be giving two presents at once!